When you complete your first eBay transaction (whether as a buyer or seller) something magical happens. You become addicted, almost immediately, to the eBay experience. Granted there are times when that experience will leave you wanting a little more... when perhaps there's a disappointment with a product you've succesfully bought, or a problem with a sale; but these can also occur in real life situations. After all, the magic of eBay is in the overall experience. 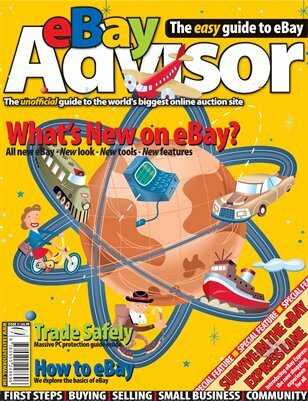 We have a feature taking a look at how you can make more from eBay on a global basis; how to protect yourself against the huge number of viral attacks on your computer plus an indepth introduction to eBay Express - eBay's answer to amazon.com. Enjoy the issue - as ever, do please let us know what you think.